A quick, one day prototype of the old classic 1986 USSR portable game "Nu Pogodi" remade to be playable in FPP VR view! 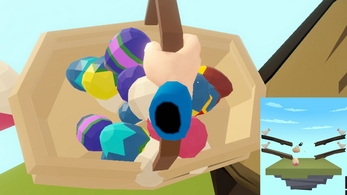 Inspired by the low-poly Easter eggs released for free by Synty Studios. The game will launch in VR mode if it detects a VR headset connected. 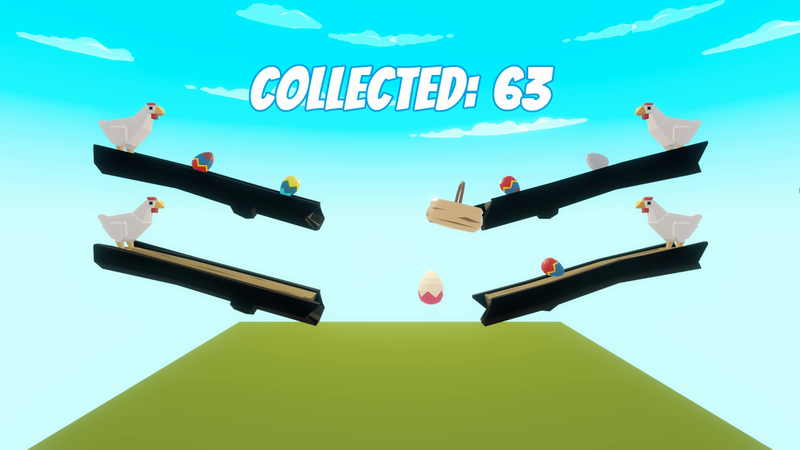 Press any button on your controllers to start the game and catch the Easter eggs into your basket! The game can also be played without VR - with arrow keys on the keyboard.